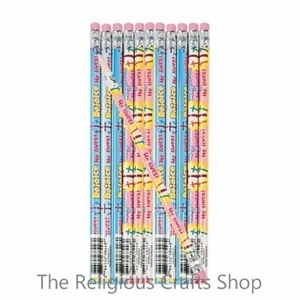 12 Pack of Rejoice He Lives Easter Pencils. Colourful pencils with a message. Perfect as gifts for children and adults alike.